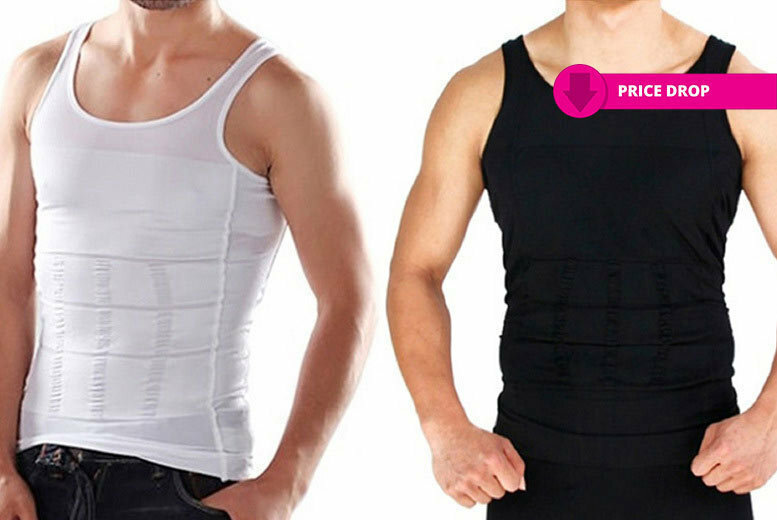 Get a men’s ‘slimming’ vest. Get a classic wardrobe staple. Made of a supportive and flattening nylon / spandex blend. In super-soft, comfy fabric – perfect for everyday wear!